According to many estimates there will be TWO MILLION drones sold this holiday season. Personally I’m excited to drive around Christmas day and see all the crashed drones everywhere and pick up a few for spare parts. Below are a few suggestions for those of you shopping for a drone. Prices range from under $15 to about $1200.00. I’ve broken the suggestions down by prices, low to high. Click on the drone image and it will you straight to Amazon to buy it and be done with your holiday drone shopping! 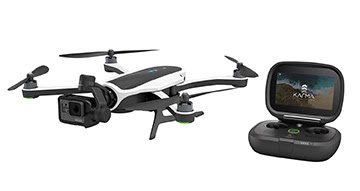 At $14.19 this is the cheapest drone I’ve ever seen. Adopts 2.4G anti-interference technology, allows multi aerocrafts to fly in the same area. This is a quadcopter with built in camera. Husban is a well known brand in the tiny drone market. This product is equipped with a professional level of aerial 5.8GHz high-definition camera, maximum up to 2 million pixels, it can be realized in the air to take pictures, video and other aerial capabilities, and real-time transmission to the image on the LCD screen. Exclusive first dual control mode, with the player operation for novice entry-level model and the professional player’s technical level model. Truly a multi-purpose machine, indoor and outdoor operation of the model, suitable for a very wide range of players! Remote control can freely switch for about throttle control, more suitable for multi-regional multi-range of people to use. New CVT function, can achieve 10% -100% to seamlessly shift, gradual acceleration and deceleration can be 1%, according to the player’s own proficiency and space operations to fully fit players to choose gear. This product uses the 2.4GHz band signal, the operation more precise, more responsive, more distant remote control, can simultaneously in the same place each control more than one aircraft without mutual interference ; The product has a 360-degree roll function, in front, left in different directions roll, roll speed sensitive, precise positioning! Unique product design, replaceable aircraft batteries, so you can enjoy a long uninterrupted remote control aircraft excitement pleasure! This is the most popular higher level drone ever sold. I even have one! A good stage for a GoPro owner who wants to graduate up to a higher quality craft. The Phantom’s high tech Naza-M autopilot system lets you configure advanced parameters via software (USB port and separate download required). The first consumer drone with a brain, Solo is powered by twin computers. Only drone to stream wireless HD video from GoPro direct to iOS/Android devices. Powerful Smart Shot technology makes capturing incredible cinematic footage easy and automatic. First with in-flight GoPro access: Start/stop recording and adjust camera settings from the ground (with Solo Gimbal). Revolutionary, intuitive video game-style controller. Solo Gimbal (sold separately) delivers smooth footage, GoPro power and control, HDMI video and intelligent camerawork. Future-proof accessory and gimbal bays make Solo ready for tomorrow’s technology : Concepts under development include LiDAR for super stable indoor flight; ballistic parachute system; flight rewind and more. Full-featured app for iOS and Android puts total craft control at your fingertips. Unique safety features like pause and ‘safety net’ mean you can fly with confidence. Take to the air in seconds with effortless pushbutton flight. Free software and feature updates ensure your Solo grows and adapts with advancements in technology. I’ve reviewed this amazing quadcopter. Check out the Ambient Flight Yuneec International Q500 4K Typhoon Review. I agree the footage is smooth but take a close look at the video. Watch the leaves in the trees. Watch the dust stirred up by the ATV rider. None of the shots were captured during any wind. Any at all. Like not even a breeze caused by a flea sneezing. Just about any currently available drone with basic GPS or altitude stabilization could capture video as smooth in the same conditions, and they already are. Before I wet my pants with excitement over the new GoPro drone (need a waterproof case if so), I’ll have to see it in action in varying conditions. I’ll also be curious to see flight times, features, FPV (first person view), the size of the unit, and all sorts of other features in which GoPro has a chance to show its innovation. I’ll also expect to see a GoPro-like price point.